BulgariaSat 1 is a geostationary communications atellite to provide Direct-to-Home (DTH) television service in the Balkan region. Space Systems/Loral announced in September 2014 that it has been awarded a contract to provide a new satellite to Bulgaria Sat. The satellite is built on the SSL-1300 platform and carries 3 Ku-band FSS transponders and 30 Ku-band BSS transponders. The satellite, BulgariaSat-1, will provide DTH services and fixed satellite services in the Balkans and other European regions to help meet the growing demand for telecommunications services. 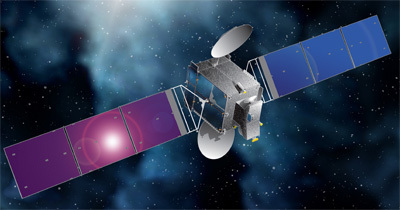 BulgariaSat-1 will be equipped with 3 Ku-band FSS transponders and 30 Ku-band BSS transponders for fixed satellite services and advanced television services such as high definition television. It will be postioned at 2° East.